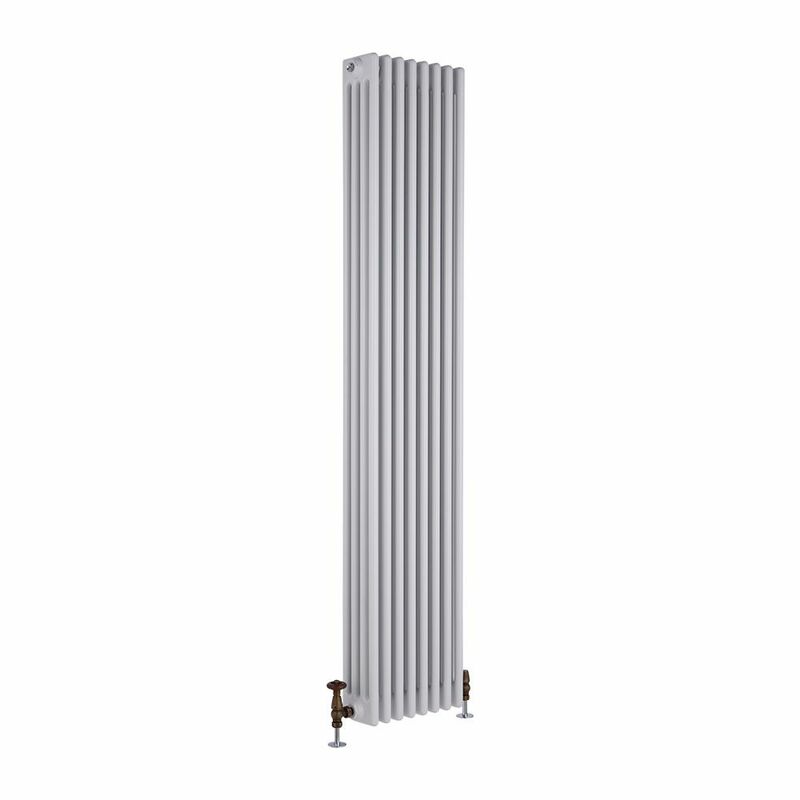 This cast iron radiator sports an attractive white powder coat finish (RAL9016), as well as eight vertical quadruple columns for an impressive heat output of 2,153 Watts (7,346 BTUs), enough to quickly warm up any room. As an up-to-date version of classic vertical radiator design, this component is ideally matched to contemporary surrounding when teamed with a modern valve set, but can also mesh well with traditional décor. 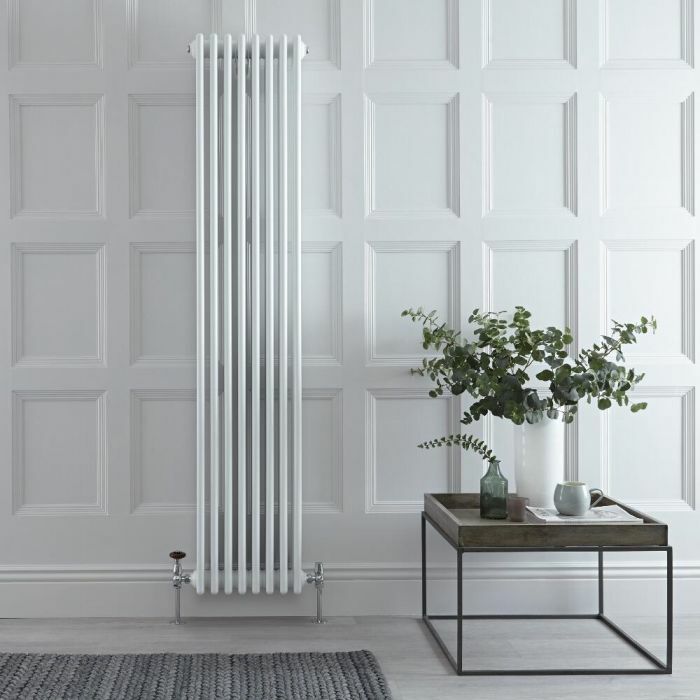 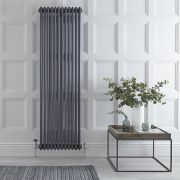 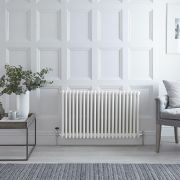 A versatile option, this radiator is supplied complete with a wall mounting kit, and is compatible with all domestic central heating systems, and connectable to existing pipework. It can be accompanied by a Hudson Reed floor mounting kit (TRUSHV406) to deliver a standout authentic look. 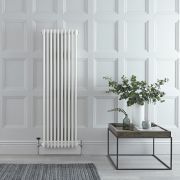 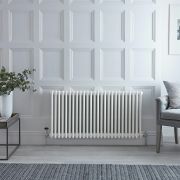 The radiator is also supplied with a choice of heating valves in angled and traditional designs, with either a chrome, antique brass or satin nickel finish. 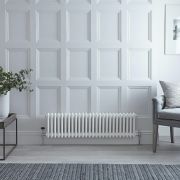 You're reviewing:Regent - White Vertical 4-Column Traditional Cast-Iron Style Radiator - 70.75" x 14.25"